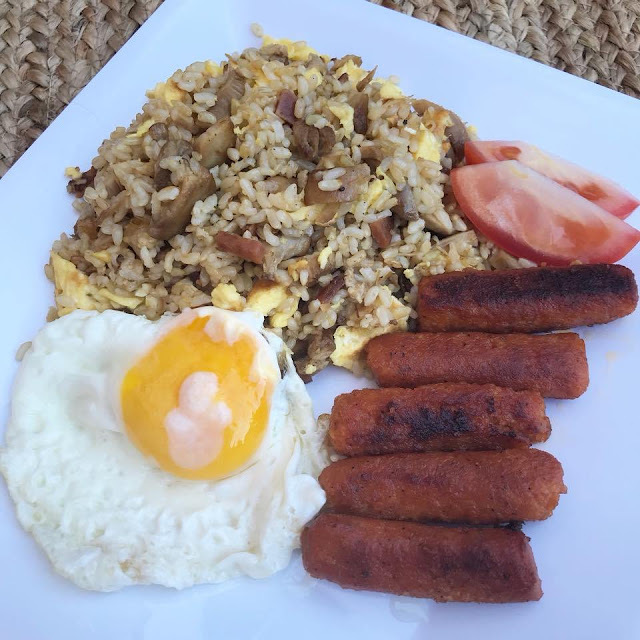 Pork Tocino or Tocino is a popular Filipino dish often served as breakfast combination called Tosilog (TOcino-SInangag-itLOG). 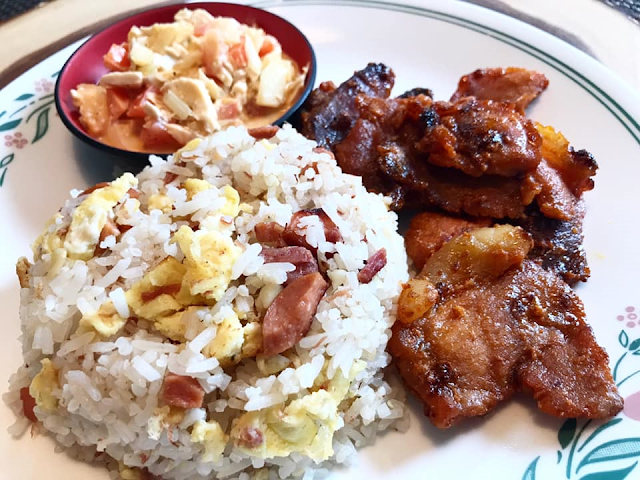 Pork Tocino is a sweet cured meat that is similar to ham or bacon. 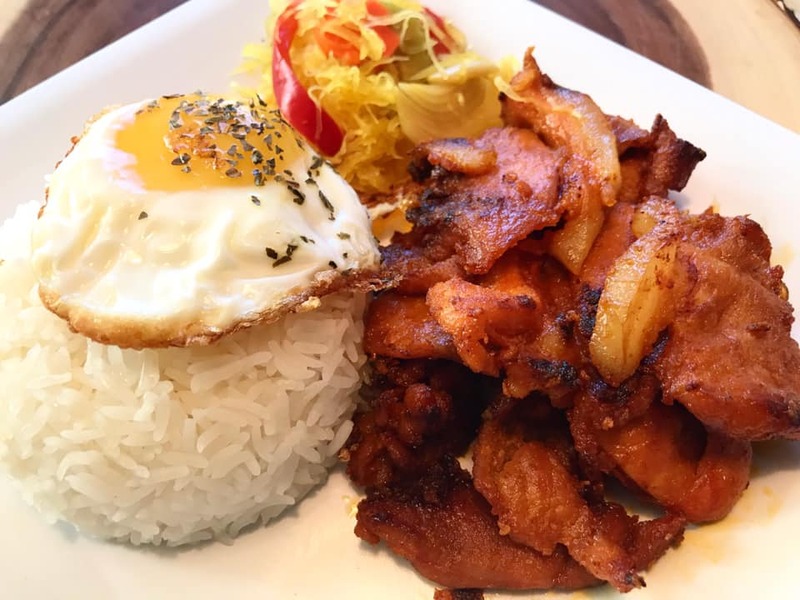 Is is a delicious sweet and savory Filipino dish with the Spanish name Tocino. 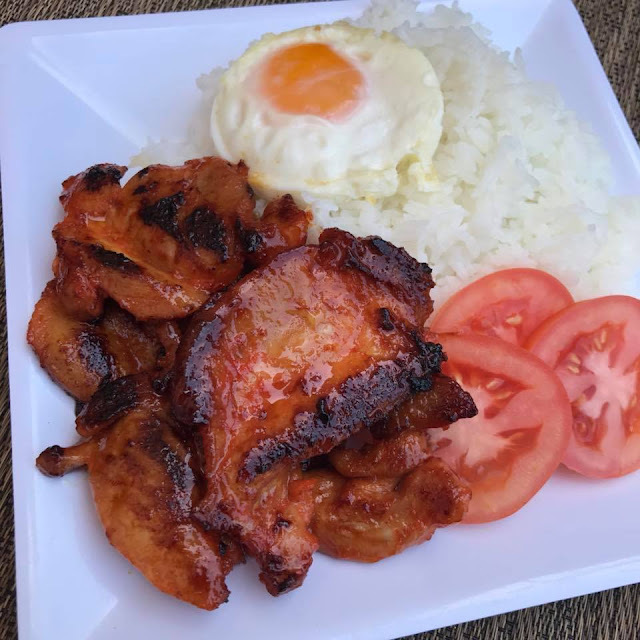 Tocino is bacon in Spanish is typically made from pork belly or pork fatback and is cured or smoked then fried until very crunchy. 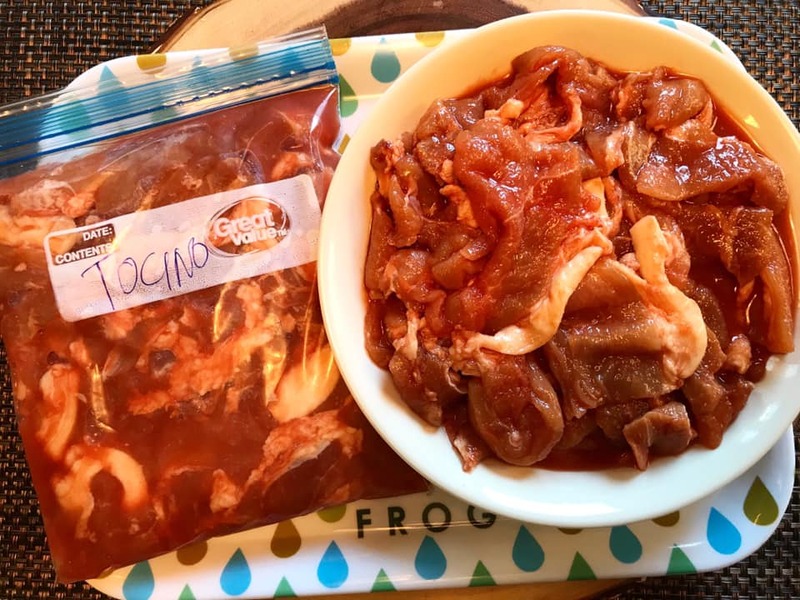 While Filipino Pork Tocino is made from pork belly or pork shoulder sliced thin, marinated and refrigerated for few days to cure. Once cured it is boiled in enough water to cover the meat and cooked until fat is rendered. Here is an easy Pork Tocino recipe that you can make at home. Double up on the ingredients, save half and freeze for later use. With this recipe you can use either pork, Chicken or even beef tenderloin. 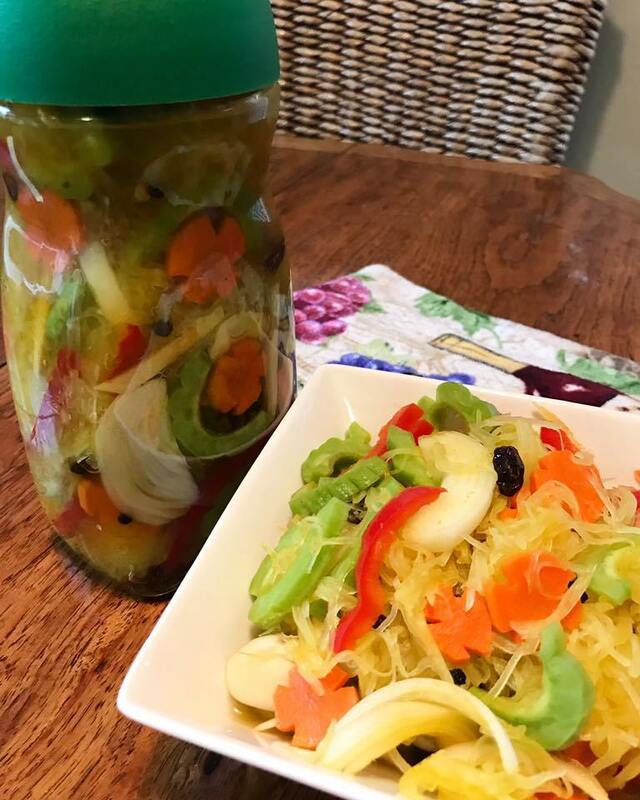 Pretty easy to make and a lot less expensive that buying those preserved ready made frozen from your grocery or market. Don't forget to check out related post below. Click on the name link below the picture to see complete recipes. Rinse pork and pat dry using a paper towel or clean cloth. Cut or slice pork meat into the thinnest or 1/4 inch thick and set aside. Using a large mixing bowl, combine pineapple juice, banana ketchup, sugar, salt, garlic and achuete powder. Stir to combine. Add pork slices to the bowl and combine making sure all the pieces are covered. Cover bowl and refrigerate for 2 to 3 days. Place cured Pork Tocino meat and the remaining juice in a wide frying pan. Add maybe a cup or enough water to cover the meat. 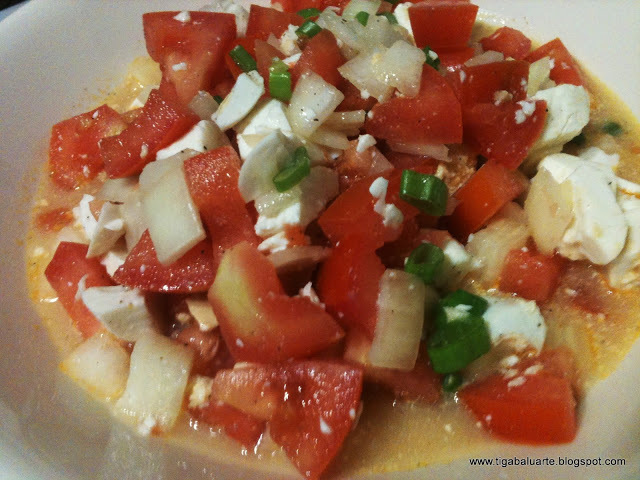 Boil in medium heat until water is gone and sauce starts to thicken. Add cooking if needed or pork does not have enough fat. 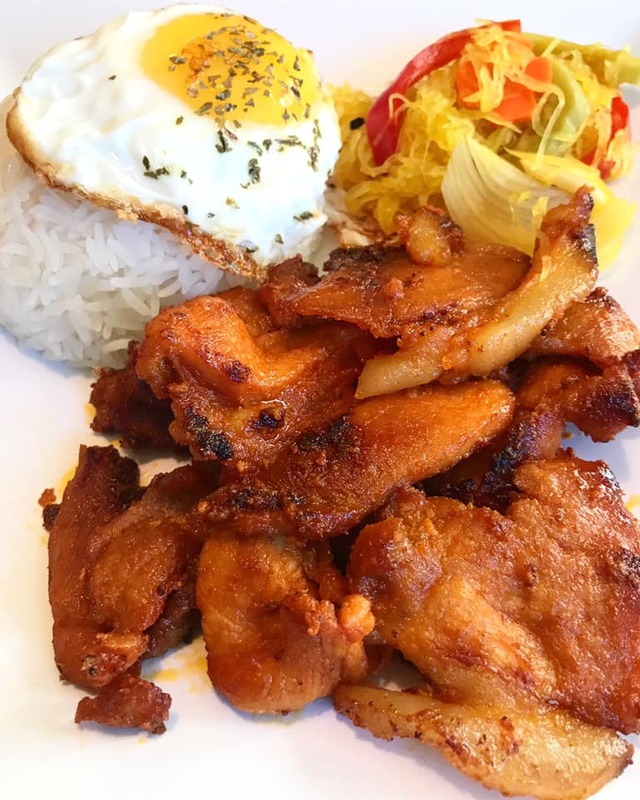 Continue cooking until pork tocino is fully cooked and browned and fat is rendered. Serve with your other favorite side dish like Papaya Achara or Itlog na Maalat and lots of steamed or Fried Rice. Enjoy!